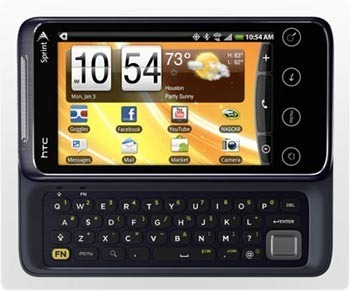 With the impending launch of the HTC EVO 3D, other Sprint phones in the same price point are starting to look a bit... lackluster. Fortunately, there are always killer deals out there for those looking to score a new phone without breaking the bank. This is exactly the case for the HTC EVO Shift 4G from Amazon Wireless - sign a new two-year agreement, get the phone for $40. This is a solid deal, especially when you consider that Sprint is willing to pay you if you switch before June 23rd. If you're already on Sprint, the deal is not quite as sweet: it'll set you back $99 after you re-up your contract. Okay, so it's not going to break any records - but it's still a great mid-ranger for a solid price. If this is the deal for you, head on over to Amazon Wireless and grab one.